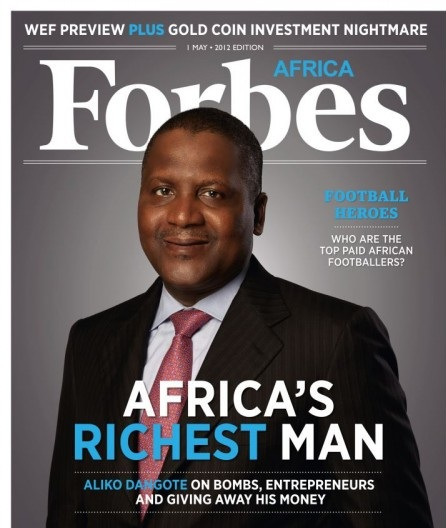 For the second year running, Forbes has published a list of Africa’s 40 richest people. No Malawians are on this list but Joyce Banda did make it onto Forbes’ list of the 100 Most Powerful Women. Does this list matter to us in Malawi? Jessie Kabwila, who was at the forefront of leading the Academic Freedom protests in 2011 as acting president of Chancellor College Academic Staff Union, has expounded on the implications of Joyce’s rise to power elsewhere. But we digress. 10 people are newcomers to this list. Of these people, 4 have made their fortunes (or part of their fortunes) in the extractive industries. Diamonds and oil appear to be particularly lucrative, which is why this list is interesting to us at Mining in Malawi. Kerry A. Dolan blogs: “South African mining mogul Desmond Sacco is the richest newcomer, with a net worth of $1.4 billion. He chairs publicly traded Assore, whose shares soared more than 60% over the past year – despite the labor strife in South Africa’s mining sector. “Folorunsho Alakija of Nigeria is one of the first two women members of Africa’s 40 Richest. She started as a secretary at an investment bank in the 1970s, launched a fashion label for upscale clientele in the 1980s and her Famfa Oil company was awarded an oil prospecting license in 1993. Famfa Oil owns part of the prolific deepwater Agbami field in Nigeria’s Niger Delta. Alakija’s fortune is estimated at $600 million. “O.B. Lulu-Briggs of Nigeria, with a net worth of $500 million, is one of four tycoons on the list whose fortunes lie solely in oil. His Moni Pulo Ltd. is an oil exploration and production company. Its flagship oil block produces 10,000 barrels a day. Pretty nice post. I simply stumbled upon your weblog and wanted to say that I’ve truly loved surfing around your blog posts. After all I will be subscribing to your rss feed and I hope you write once more soon!